If there was a list of people most qualified to talk about resilience, Kyle Maynard would be at the top. 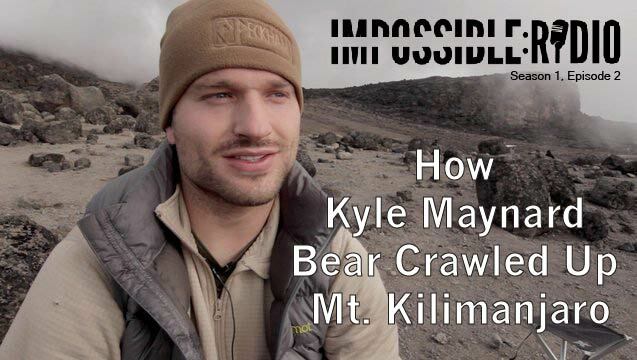 Born without arms and legs, Kyle has been tackling mountains, both figurative and literal, one step at a time. He’s literally crawled to the top of Mount Kilimanjaro, the highest peak on the African Continent, does CrossFit, was named “world’s strongest teen”, and competes at elite levels in jiu-jitsu, not to mention a host of other things that keep him on the go. Thanks for listening to this week’s episode of Impossible Radio: Resilience. What music do you use for the intro? It’s sick!